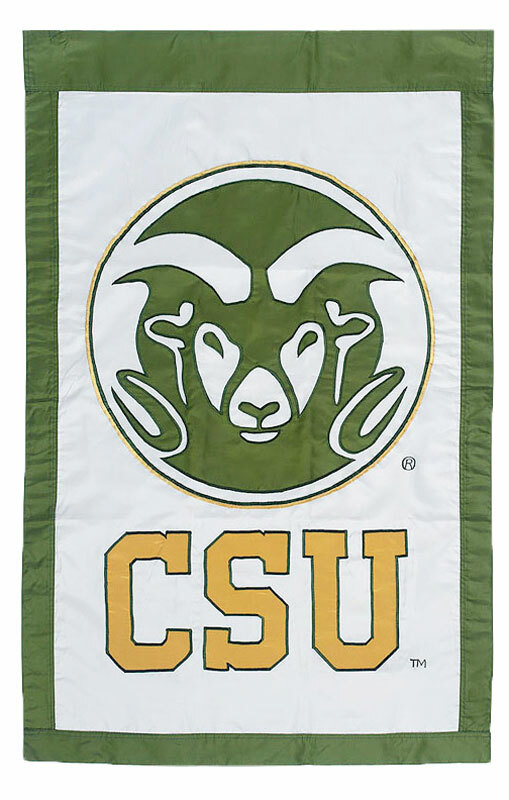 By combining the detailed craftsmanship of applique and embroidery with the durability and brilliance of 310-denier nylon, our new 2-sided College Banners stand apart from the rest both on and off the field. Vivid color, attention to design, and strength mean quality that will pass the test with even the most spirited alumni, students and fans. Banners with sleeves hang vertically from a decorative flagpole or banner pole. The flagpole slides through the pole sleeve located on top of the flag and attaches to a loop located within the pole sleeve. You can also hang these flags on a wall. Show your school spirit by hanging one in your dorm room! These banners are officially licensed and double sided so they display correctly from either side.